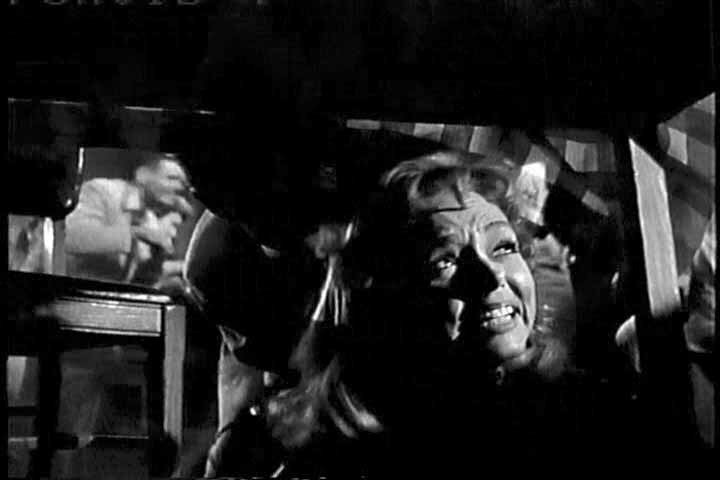 There is someone outside and Honey Parker (Yvette Vickers) is terrified. 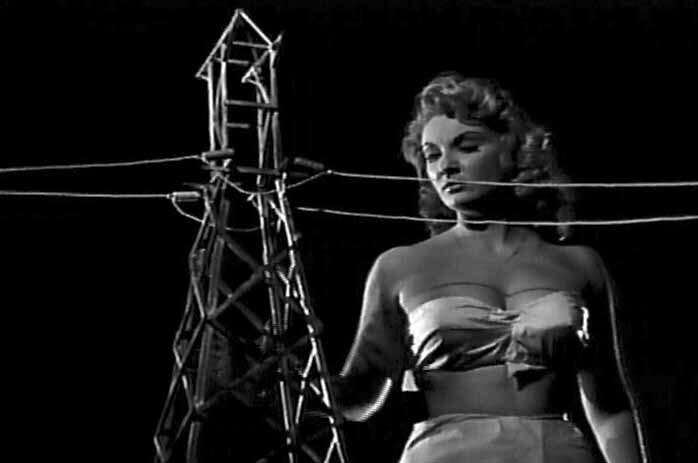 Nancy Archer (Allison Hayes) inspects the power lines. A woman is frustrated with many important aspects of her life. Her own father and her husband don't care for her and she's seems to be lost in life until a window of opportunity comes from outer space. She experiences a ray of light from a spaceship that changes her life to be more the person she wants to be. But there happens to be a dangerous side effect, she grows to be 50 feet tall. She now has a new found power. I enjoyed the special effects, especially when the giant is roaming around the town's buildings with hoards of screaming people in the streets. This is a remake of the 1958 film of the same name.